Follow the “At the Draft Table” series as NHL team’s prospect systems are explored to determine draft-eligible players that would fill areas of need within the organization. Leading up to the NHL Entry Draft, scouting teams spend countless hours discussing, debating and critiquing the future players of the NHL at the ripe age of eighteen. When NHL Commissioner Gary Bettman steps up and announces that the “Toronto Maple Leafs are on the clock” and Brian Burke steps up to the podium at the Consol Energy Center in Pittsburgh to make his selection, he’s hoping that the time and money his scouting crew spent travelling the globe in search of the next Maple Leaf pays off. The first release of the “At the Draft Table” series does indeed feature the Toronto Maple Leafs, a team that has not made a top ten selection since Nazem Kadri was selected 7th overall in 2009. Void of their own first round picks in 2010 and 2011 after trading them in a package for Phil Kessel, Toronto is a team that will certainly welcome another top notch prospect to their organization. If there is one thing for certain it is that whoever dons the Blue and White Maple Leaf in Pittsburgh later this June the world’s most invested and emotional hockey fans will be watching closely so the pressure increases tenfold on the next potential Leaf draft pick. The Maple Leafs’ biggest need remains that big skilled centreman who can get Kessel the puck. Preferably, the centre would be a player with a playmaking style of game to compliment number 81 nicely. Toronto currently has Joel Colborne in their system that could become that big pivot on the top line but there are certainly no guarantees that he fulfills that need ideally. The Maple Leafs need to add strong, sizeable forwards that can win puck battles along the boards – an area they are often under matched in. The Toronto Maple Leafs have plenty of prospect forwards who appear to be future fringe second line players but they lack a legit top line forward prospect. The Maple Leafs’ scouting staff has done a good job at developing strong defensive depth in their system and it incorporates players with good offensive skills (Jesse Blacker, Jake Gardiner), good defensive skills (Korbinian Holzer) and a strong two-way defender in Stuart Percy. Jake Gardiner has graduated to the big club but Toronto has several defensemen developing in the minor leagues that appear ready for the next step soon. No surprise here, Toronto needs to address their goaltending depth. In reality, most NHL clubs can never have enough goaltending depth and with several good goaltending options in this draft class, Brian Burke will likely be leaning towards using an early pick to address this team`s weakness. Developing goaltenders takes time, a lot of time, so it is important to remember that any goaltender selected in the 2012 NHL Draft will likely be several years away from playing on an NHL roster. As long as Toronto remains in the top ten for the 2012 NHL Draft, look for Brian Burke and his draft day team to pick the best player available regardless of team needs. The “best player available” is an approach that most teams use if they are picking in the top halve of the draft and it’s really the way teams should operate. Drafting the `best player`involves selecting the player the team feels is best rather than addressing needs of the team. The Maple Leafs will be selecting high in the first round but beyond their first two picks (1st and 2nd) the team lacks draft pick depth in this 2012 NHL Draft. Brian Burke may be willing to listen to offers for his 2nd round pick to move down and add another 2nd and/or 3rd round pick. Without taking into account the NHL Draft Lottery results and changes in the standings over the final weeks of the NHL season, the Maple Leafs currently sit in the sixth position for the upcoming draft. Assuming that sniper Nail Yakupov will be off the draft board by the time Brian Burke steps up to the podium, here are ten potential first round players who could improve the Leafs’ prospect cupboard. The big skilled winger has been the topic of draft discussions often these days as a few anonymous scouts were quoted saying that they would pass over Grigorenko citing his lack of compete level as a big deterrent. In reality, Grigorenko will be scooped up well before the tenth pick comes due. With the possibility of Toronto winning the draft lottery or sliding further in the standings it was necessary to include Grigorenko on this list. It goes without saying that if Mikhail Grigorenko is available for Toronto to select then he should top their draft list as he fits their need for a big, skilled top line pivot nicely. Toronto should be eagerly preparing to stitch up Alex Galchenyuk jerseys featuring his number 94 for the upcoming draft. The Sarnia Sting centre has missed the entire 2011-12 OHL season after undergoing knee surgery but he was a player expected to rival Nail Yakupov for the top pick of the 2012 NHL Entry Draft. The hard working and committed Galchenyuk projects to be one of the most complete players in the entire draft class possessing good defensive skills and star-worthy offensive ability. Galchenyuk is expected back in the next week or so and NHL teams will be sending every possible scout to see how he rebounds from injury. Alex Galchenyuk fits Toronto’s top pivot need perfectly and his injury could make him available when Burke is called to the stage. The last time Toronto welcomed a big Swede to their lineup was when Mats Sundin was acquired via trade and he was certainly no slouch over his years in Toronto. Filip Forsberg is a player that Burke could certainly covet with his first round pick even though the wng is not an area of immediate need. As mentioned above, Toronto should look to draft the best player available and Forsberg has the size and skill to develop into an exciting player for Toronto. As a strong player, Forsberg has a real good ability at working the half-boards and considering that the cycle and board battles are areas of need for Toronto, Forsberg would help address this deficiency. Brian Burke loves drafting Americans and beyond Russian-American Galchenyuk, Trouba is a legit Brian Burkes target. Call it a hunch, Jacob Trouba donning the blue and white Maple Leaf resonates too clearly in my mind. When Brian Burke announces his pick, Trouba seems like a real possibility. Trouba is a physical defenseman with good mobility and puck-moving abilities making him highly sought after. If the top forwards are all snatched up, there is a great chance that Jacob Trouba will be welcomed to the Toronto Maple Leafs. Trouba? Dumba? Trouba? Dumba? Mathew Dumba is an electrifying player to watch as he hammers players and pucks lifting fans out of their seats. However, in the Leafs’ situation, Brian Burke likely takes bigger defenseman with lower upside in Jacob Trouba than Mathew Dumba whose future is a little bit more unknown. Last season, Burke desired the safer and easier to project player in Tyler Biggs over more skilled players like Zach Phillips and Ty Rattie showing his preference in player type. If presented with the option between Trouba and Dumba, my instincts says he leans toward the American with more size over Dumba who comes with a little more risk. The third defenseman on this list, Griffin is a player that will likely be selected after the Maple Leafs make their selection as Toronto is more likely to end up with one of the players above…unless they start improving their play and move up in the standings. Reinhart is another well-rounded defender who can skate, move the puck and has a physical element to his game. Brian Burke might covet a centreman like Faksa, Gaunce or Girgensons moreso than a defenseman like Reinhart. If true, it would not be a terrible strategy for Burke to listen to offers where he could trade down and still get his centre in Faksa, Gaunce and Girgensons. In my opinion, Reinhart holds a slight edge over these forwards as the best available player so why not see if you can slide down a spot or two improving or adding another draft pick/player? The Kitchener Rangers import pick who replaced Gabriel Landeskog has shot up the draft boards this season. Faksa projects to be a top 6 centre who can play in all situations. However, doesn’t Toronto have enough of these prospects already? For Maple Leafs’ fans, if the team misses out on forwards Yakupov, Grigorenko, Galchenyuk, and Forsberg leaving Faksa as their best option then they likely won too many games down the stretch hurting their top draft selection as a result. If Toronto truly fancies a forward then drafting Faksa, Gaunce or Girgensons is a letdown given how close they are to nabbing more offensive players in the aforementioned group. In saying that, Radek Faksa is a player who competes hard, can put up points and plays a good team game – all qualities Burke appreciates. Radek Faksa is a player likely to be selected in the 8-15 range. The younger brother of Colorado Avalanche defenseman Cameron Gaunce, Brendan projects to be a pivot that fits nicely in a top 9 role. His offensive upside has been called into question but he’s a player with a good shot and a smart head on his shoulders. Ideally, Gaunce fits into the number three centre slot but he is certainly capable of playing top six minutes as well. It’s important to note that production isn’t the only quality teams desire in prospects. Gaunce has a winner’s mentality and is a real team player making him the type of competitor that brings home championships. Brendan Gaunce has been a tough player to project as he seems to always prove his doubters wrong by amping up his game. 10. Morgan Rielly, D, Moose Jaw Warriors The majority of rankings have Rielly listed higher than 10th (including my own personal ranking) but he slides down the Maple Leafs’ draft list simply based on team needs. Rielly appears to be a better fit for a team like the New York Islanders or Tampa Bay Lightning and Toronto might feel that there’s better value in a different positional player. Either way, Rielly oozes offense and is the draft class’ most offensive defenseman often showcasing his elite skating ability and puck control. The Maple Leafs have welcomed two defensemen with similar playing styles to Rielly in Jake Gardiner and Jesse Blacker. Given Rielly’s injury and Toronto’s defensive depth, Burke is more likely to pass over Rielly for a bigger “need” if he is available. 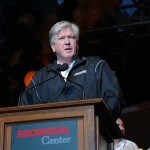 Brian Burke holds two valuable draft picks in the first two rounds of the 2012 NHL Entry draft but lacks picks in rounds three and four placing importance on making the correct choices in the opening rounds. As mentioned above, Burke may be open to trading down with his second round pick to gain another mid-round selection depending on how the draft unfolds. Regardless of potential transactions, Burke should use his second selection to add to his goaltending depth. 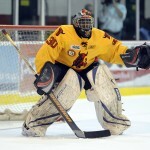 One of the top stories of the 2012 draft class has been attempting to project where the first goalie will be drafted. The Toronto Maple Leafs should have a realistic shot at drafting one of Malcolm Subban, Andrei Vasilevski, or Oscar Dansk. In a draft that drops off slightly after the first couple dozen of players, it is quite likely teams start a goalie run in the late first or early second round. The Toronto Maple Leafs’ late season slide in the standings has likely cost them another playoff berth but it’s afforded them with an opportunity to add a better top level prospect to their organization via the draft. Alex Galchenyuk is the type of skilled, hardworking centreman that would fit perfectly into the Maple Leafs’ system but his availability depends largely on the teams selecting ahead of them. Considering it is very likely that Columbus, Edmonton and Montreal will be picking ahead of Toronto, it is feasible that each one of these teams view the centre position a serious weakness within their own organization. Skilled centres with top line potential are rare commodities in today’s National Hockey League and Toronto will continue to do their scouting homework as the season winds down to ensure they add the right player. The search for a top line centre and goaltending remains a top priority for a young Toronto team. With two draft picks inside the top forty, look for Brian Burke to address his centre need, if possible, with his top ten selection and add one of the premier goaltenders with his second round draft pick. The Maple Leafs decided to go fairly safe last year drafting Tyler Biggs, Stuart Percy, and Joshua Leivo in the first three rounds adding players with good likelihood of reaching the NHL but sacrificing upside as a result. Fans of the blue and white are hankering for another top offensive player to enter the Leafs system and if Toronto finds themselves with a top 5 pick then they are almost assured that particular player. 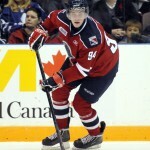 Which player do you want to become the next Maple Leaf at the 2012 NHL Entry Draft?